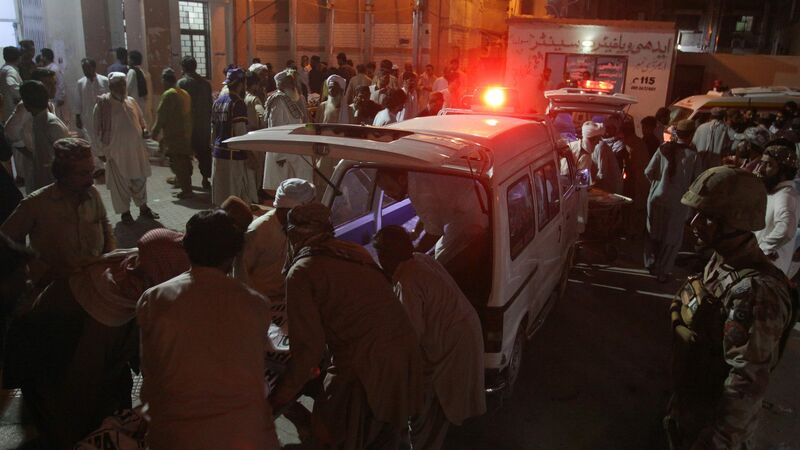 Violence is increasing ahead of Pakistan's general elections this Wednesday. Throughout July, attacks on political candidates have killed more than 150 people and injured scores more. Why it matters: Pakistan’s National Counter Terrorism Authority has issued a warning to vulnerable candidates, and the army announced that it will pledge 350,000 security personnel, but the increase in violence still spells trouble for election day. Although the military has stepped in for security purposes, it is also involved in intimidation. Ikramullah Gandapur of the Pakistan Tehreel-i-Insaf party was killed on Sunday in a suicide attack orchestrated by the Pakistani Taliban. The Pakistani Taliban also claimed responsibility for the attack on July 10 in Peshawar that claimed Haroon Bilour, a candidate of the Awami National Party, along with 20 others at a campaign event. On July 13, the Pakistani Taliban attacked Akram Khan Durrani’s convoy in North Waziristan, killing 4 people and injuring 32. That same day, the Islamic State took responsibility for a larger and bloodier attack in Mastung, Balochistan, killing over 130 people, including Nawabzada Siraj Raisani of the Balochistan Awami Party. Candidates from the Pakistan Muslim League–N party have accused the military establishment of targeting the party and working to divide its vote base. The media has also accused the military of meddling to influence the national narrative — and ultimately the election results. #HerVote, a campaign to encourage women to vote, has been trending online. But women in rural areas remain fearful of voting, and a ban on women voting continues in some locations. The bottom line: The military’s interference in the elections not only hurts its credibility but also that of Pakistan’s political system. At the end of the day, the ability to vote safely doesn't much matter if the elections are unfair and unfree to begin with.